The Hot Hunks of the Resolution series. Okay, so we’re far enough into 2019 to have broken most of our New Year’s resolutions—or to know which one actually means enough that we will find a way to do it. Knowing it’s time for a change and being determined to make it happen is the basis for the Resolution Series collection of steamy romance by eight best-selling and award-winning authors. Hollywood stuntman Kip Rocklyn loves taking risks, using his skills to cheat death. After nature gives him a tragic dose of reality testing, he wonders if he’s just a kid refusing to grow up. But can he fit in a world where he doesn’t hurl his body through space or race a motorcycle at breakneck speeds? Would a woman’s love make it possible? Kip’s Resolution is on sale for 99¢ during its launch~or free with Kindle Unlimited. This is the fourth release in the collection and all the coming books are available for pre-order at a discounted price. You can check out the whole series HERE. I love reading and writing a romance series that follows the different members of a family. Seeing how their particular role in the family dynamic affects their attitudes and approach when it comes to finding their way to love. I just released my latest spicy romance about the Rocklyn family. Raina spent her youth as the problem-solver and peacekeeper of her volatile dysfunctional household, then later continued in a similar role as a family law attorney often working sixteen-hour days. But as she watches her family and her clients move on with their lives, she is shocked to discover she forgot to get a life of her own. After a tragedy that left him orphaned and alone, Roman finally got a second chance and he made the most of it. Although he is now a plastic surgeon, an expert in repairing external scars, the scars from his own internal wounds still haunt him—and so does the memory of the girl whose act of courage and kindness changed his life. Rainy Day Lovers is on sale for 99¢ during its release. New Year’s Resolutions anyone? Check out this new collection of eight stories by eight wonderfully talented authors! Reed’s Resolution has released to start off the New Year, with the next book in the collection coming every two weeks. Each will be 99¢ during pre-order and launch, then go up to $2.99. My book, Kip’s Resolution will be coming out February 12th. Join us on our Facebook Page! I’m thrilled to share my new release with you—Maybe Lovers. It examines that cloudy, ambiguous area when two people have gotten involved but cannot really define or give a label to what is happening between them. This is book two in my new spicy series, The Rocklyns, although all my series books can be read as stand-alones. For readers familiar with my heroine in Tomboy Bride from my Dance ‘n’ Love series, you will recognize the family of brothers and cousins that will all now have their own books. I enjoy writing about families and how they are affected and interact with the main characters who are facing the roller coaster ride of falling in love. Maybe Lovers is available on Kindle Unlimited. Can a hot doc with his own troubles convince a cynical bartender that it’s okay to dream of love? Carly Kuper has learned you shouldn’t wish for things you cannot have. And that includes the handsome orthopedist who is a regular customer at the bistro bar where she works. Jeff Rocklyn has always liked taking care of people, but sometimes it gets him in over his head, especially when it comes to women. 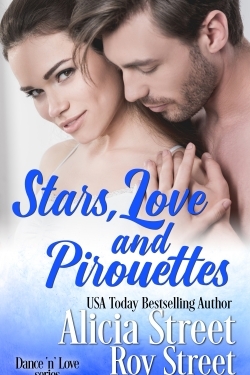 When the two of them end up together in a Paris hotel, steamy fireworks erupt, but the aftermath opens private wounds and a secret that could destroy them both. A Party, a Contest and a Free Cookbook! The Authors’ Billboard is having a Facebook party! 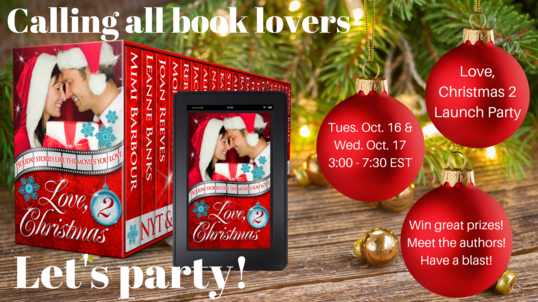 Join us on Oct 16 & 17 for lots of fun games and prizes and good company to celebrate the Oct 16 release of LOVE, CHRISTMAS 2! Sprinkle a little Christmas magic into your life with 26 ALL-NEW, never before released romances. 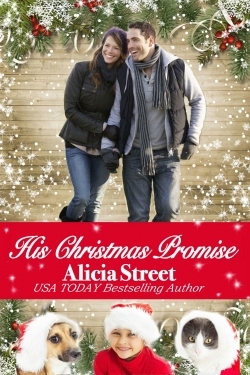 Each title – exclusive to this set – is inspired by a favorite holiday movie, spun into a fantastic love story by a NY Times, USA Today bestselling or award-winning author and delivered to you in this wonderful collection full of cheer for the coming season. My contribution to the set is inspired by my favorite Christmas movie — Miracle on 34th Street—and it will become part of my Holiday Luv sweet romance series. This holiday cookbook is a gift for you! Twenty-six mouth-watering recipes with pictures. 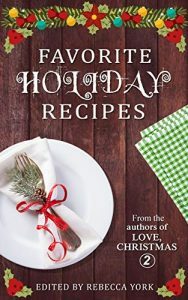 Each author tells why her recipe is important to her story in the Love, Christmas 2 collection. Even if you can’t make it to the Facebook party where each author will be giving away fun prizes, you can enter below for a chance to win a $50. Amazon Gift card from the Authors’ Billboard to be awarded on launch day! A love that lasts, that’s the “prize” written into the ending of so many of the romances we love to read. 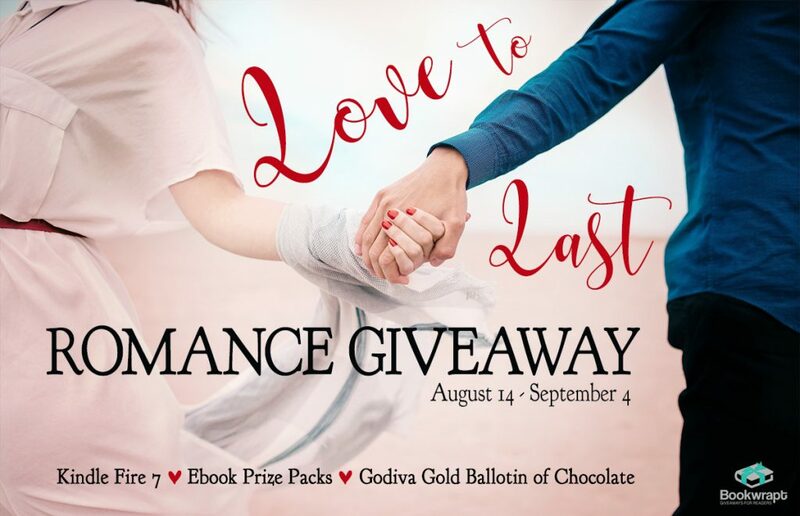 Well, Love to Last‘s 35 sponsoring authors have some fabulous prizes for romance fans, too. Will you be one of 7 lucky winners? You’ll never know if you don’t enter! Plus, you’ll find the latest book bargains from our sponsoring authors when you shop our book fair. Be sure to play the bonus scavenger hunt for a chance at a $32 gold ballotin of Godiva chocolate! Lovers in Training – Book One of my new spicy romance series ~The Rocklyns ~ is in the book fair and on sale for 99¢ until September 4th. Fun Christmas in July Contests! 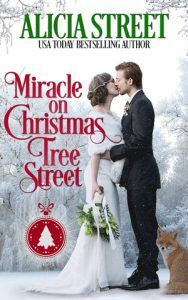 Like many romance readers, I love to chill down with Christmas stories in July when the weather in my neck of the woods is hot and humid. I’m participating in a couple Christmas in July events featuring holiday romance and you can join in contests for a chance to win fun prizes. 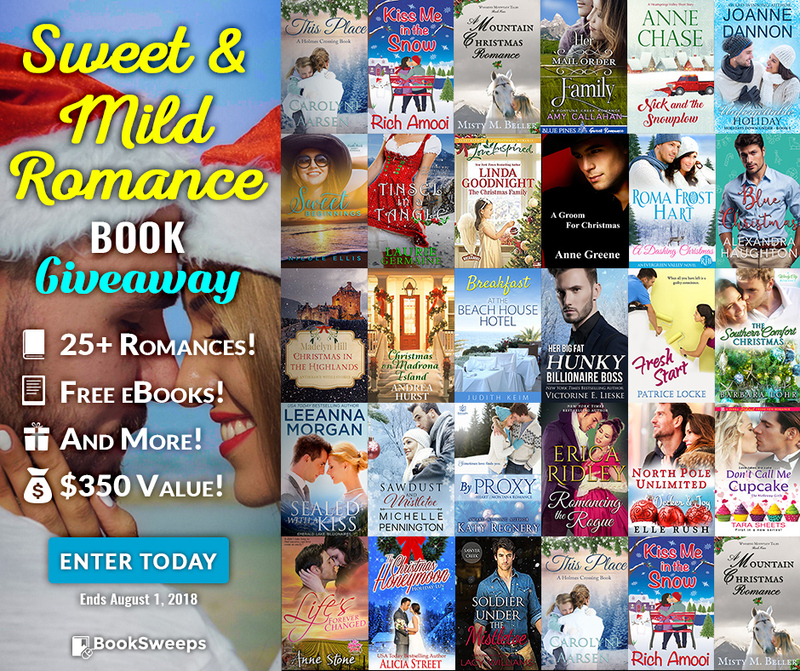 GO HERE where you can enter for a chance to win 25+ Sweet & Mild Romances or a brand new eReader. There are also some great free reads you can download just for entering! 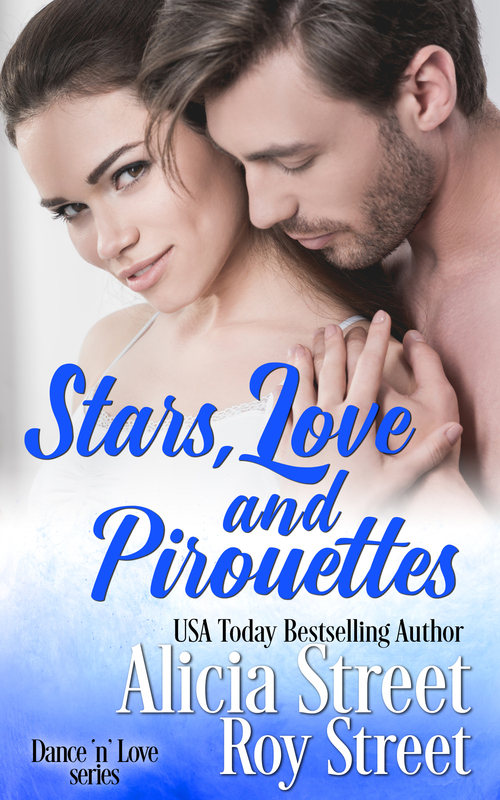 If you like both Sweet and Spicy Romance, you can GO HERE to check out sale-priced ebooks and enter to win one of three $75. Amazon Gift cards. With the spring comes new beginnings—and a new website! All kinds of changes have been happening over the past year, and one of those is that Roy and I will no longer be collaborating on books. No, we aren’t breaking up. We’re still joined-at-the-hip sweethearts, just going our separate ways as authors. I’ve already been writing solo on the last several romances I published, and I have some new series planned. The Rocklyns will be a spicy hot romance series that tells the stories of Kendra Rocklyn’s brothers and cousins. You met Kendra in Tomboy Bride, a semi-sweet romance that is a bridge story between this new series and my sweet Holiday Luv series. It also connects to my Dance ‘n’ Love series and my new Peconic Bend series as well. The Peconic Bend series is a sweet romance spin-off from my Holiday Luv books. All these series take place in the North Fork farming and fishing and vineyard towns on the East End of Long Island, the communities my readers tell me they love. And, as always, each of the books can be read as a stand-alone. I’ll be veering off into new territory with The Hanley Girls, my upcoming sweet historical Western series based on the Harvey Girls. You can go to the home page to read a bit about Eliza, my first in the series. 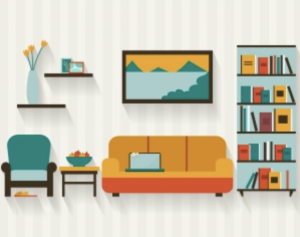 In the meantime, there are still some things in progress on the website, since I’m one of those people who likes to hang out in a new house for a while and move the furniture around a few times till it feels just right. 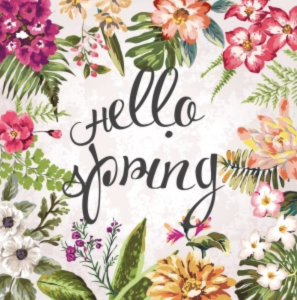 Welcome to my new author home ~ and happy spring! Most people call this season a magical time, and when I think about what makes it so, I think of all the traditions that we revisit year after year—rituals that are shared by so many others at the same time that they become larger than our individual acts. I love seeing cars with Christmas trees tied on top, people carrying bags of packages wrapped with red bows, neighbors stopping by with a tin of holiday cookies. And that special glow everyone gets decorating the home in sparkling lights and ornaments that we take out of storage only once a year and only at this special time. When I watch Christmas Carol every year I can’t help remembering the way at age five, I hid behind the sofa the first time I saw the black-robed ghost of Christmas future. Then last year I saw my friend’s little daughter do the same thing! Back when I was a dancer living in New York City, I once had a rehearsal that ended late at night and I didn‘t have the money for a cab. So I took the stairs down to the subway platform below street level—a dark and desolate place in a not-so-savory neighborhood. There was only one other person there, and by the nervous look she gave me when I arrived, I guessed she wasn’t feeling too safe either. I just hoped the train would arrive before any bad dudes discovered two defenseless women were down in this enclosed space where I doubted anyone would hear a call for help. It was almost Christmas and I clung to the joy that always fills me this time of year. I quietly began singing to myself “Deck the Halls.” The middle-aged woman waiting several feet away must have heard my tiny song because she started singing it too, joining me word for word. Soon we were standing close together singing one carol after another until the subway arrived. We didn’t know each other’s names and we got off the subway at different stops, but when we parted we exchanged a smile that told me we had shared in the special magic that is Christmas. Those special moments are what inspire me to write a holiday romance each year. This year’s romance, Her Christmas Secret, is a mistaken identity story about a toymaker who courts a cold-hearted investor in her desperation to help her sister’s family. 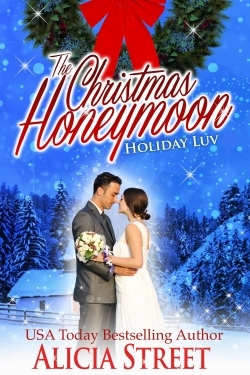 I’ve also bundled four of my earlier Holiday Luv romances into a boxed set. Wishing you and yours a joyous Christmas, happy Chanukah, blissful Kwanzaa, merry Solstice ~ and of course a wonderful New Year. Eliza: The Hanley Girls is the first book in a new Sweet Historical Western Romance by USA Today bestselling author Alicia Street. 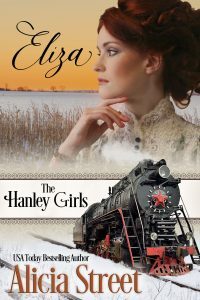 The Hanley Girls series is based on the Harvey Girls, those brave and adventurous women who worked in the diners set up to serve the railroad passengers as the train lines extended into the rugged western territories during the late 1800s. At the time, the only respectable positions for women were wife or schoolteacher or governess. A staff of women who were trained and housed in a dorm and given strict rules of conduct to follow was a new concept in Victorian America. But in the American West people did things in bold, adventurous ways. Eliza, who has never even eaten in a restaurant or traveled this far from home, takes a job as a Hanley Girl to save her family’s farm—and she finds herself in a whole new world.